Personalised Ceramic Tea Light Holder. 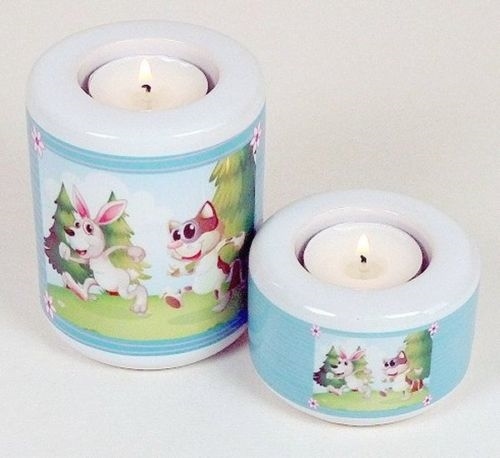 These unique tea light holders measure 10cm tall with an 8cm diameter. We currently only stock the larger size pictured. The sides of the ceramic holder are ready to be personalised by you and the recess in the top fits a standard tea light. Please note no tea lights are supplied. A great gift that will be uniquely yours!